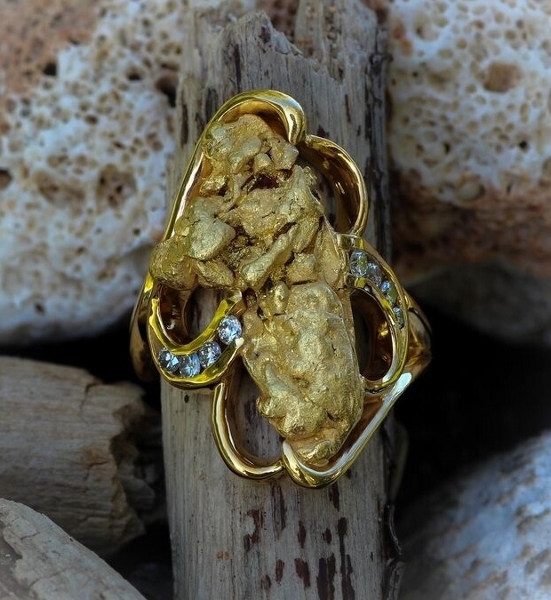 This romantic design features a stunning Alaskan Gold Nugget with a string of diamonds in 14kt yellow gold. This ring has sold. Every nugget is unique and different; the ring can't be duplicated, but give us a call and we can design something similar.